Top quality of work – Delivered by our professional team of cleaners with over 10+ years of experience in commercial cleaning. 100% Customer Satisfaction – We work hard to meet and exceed our customers’ expectations. Affordable rates, outstanding dedication and support. Does your business need a third-party commercial cleaning service provider? You can count on GLP Maintenance LLC to handle all of your business’ cleaning needs. With us you’ll get 100% customer satisfaction and we can adapt to any cleaning schedule and tailor our services to your needs. From daily to weekly, bi-weekly or monthly schedules, we have the capacity to any cleaning contract. We also offer our cleaning services to customers who want one-time cleaning services or prefer no contracts. Our janitorial services are the perfect solution for all of your custodial needs. 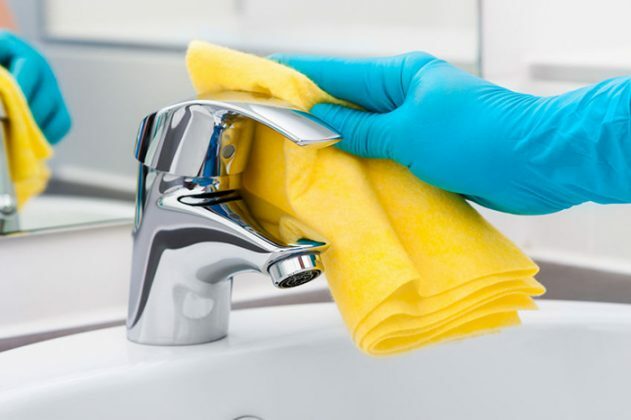 Our professional team of custodians is ready to provide all the cleaning services your facility requires, from bathrooms to offices and kitchens, day-porter services as well as provide specialty cleaning services tailored to your needs. Let us keep your work environment clean while you concentrate on your core operations. GLP Maintenance LLC provides professional and top quality office cleaning services tailored to your needs and schedule with services such as sweeping, mopping, restroom cleaning, dusting, trash removal and much more. By choosing GLP Maintenance LLC for your office cleaning needs you can rest assured that your work space will always be clean and well organized. Contact us today to schedule your office cleaning service. GLP Maintenance LLC is a family owned cleaning and janitorial service provider, servicing Metro Detroit area since 2002. GLP Maintenance LLC also offers general facility maintenance services, interior & exterior painting, wood & tile flooring, electrical work, plumbing and more. Contact us today for a quick FREE quote!